Over the years, we have done a lot of work combatting childhood obesity in the state of Mississippi. We’ve been fortunate to partner with a number of organizations with like missions of creating healthier children and communities around the state. 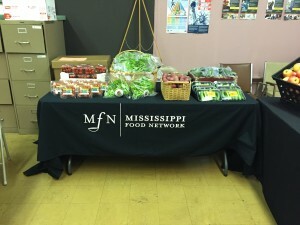 Recently we heard from the Mississippi Food Network (MFN), who hosted events at two of their supper sites in Greenville and Hattiesburg, Mississippi. During spring break, MFN hosted a farmers market fair at each of the sites, where they purchased produce for the farmers market and children were able to shop the healthy fruits and vegetables free of charge. Through the event over 660 pounds of produce was distributed to the children between the two supper sites. 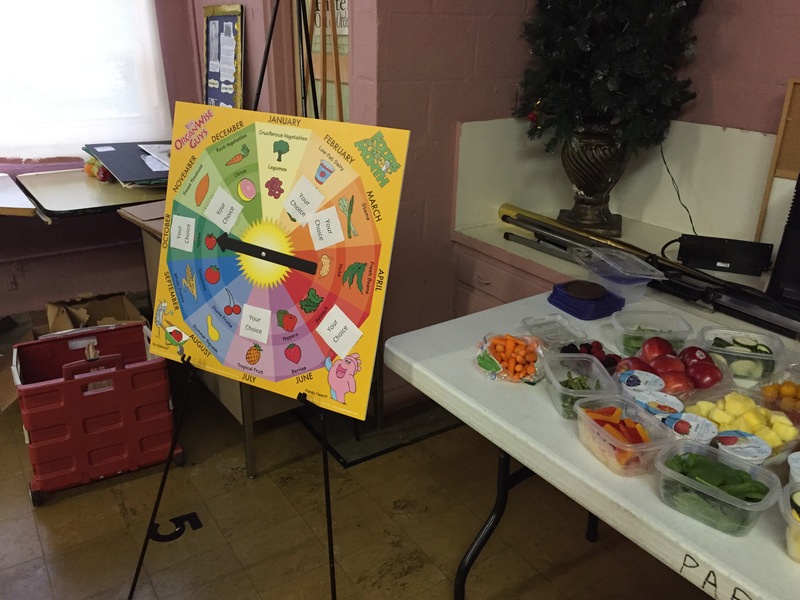 In Hattiesburg, a registered dietician from Stretch-n-Grow did a little bit of physical activity education with the kids, along with some nutrition education. In Greenville, the focus was more on Choose My Plate. The Organwise Guys materials played a huge and fun role at both events. The Foods of the Month spin board was used by the children, who spun and whatever food they landed on, they got to taste test. Through the taste test, children were able to taste fruits and veggies they may have never tasted before this event. The same things was done with the Wheel of Health board, which focuses on physical activity. The kids had to demonstrate the particular activity that the spinner landed on. The kids loved this activity! Thanks to Mississippi Food Network for sharing this with us! We love seeing such great things being done in the communities of course the healthy kids in Mississippi! The OrganWise Guys Clinic Kit is designed to engage clinic staff like doctors, nurses and health educators in nutrition and healthy living activities to prevent childhood obesity. We love sharing stories with our audience on how these materials are used, and love it when we hear from you!